First of all you should set your Stamps.com account settings. All account settings you can receive from Stamps.com support. 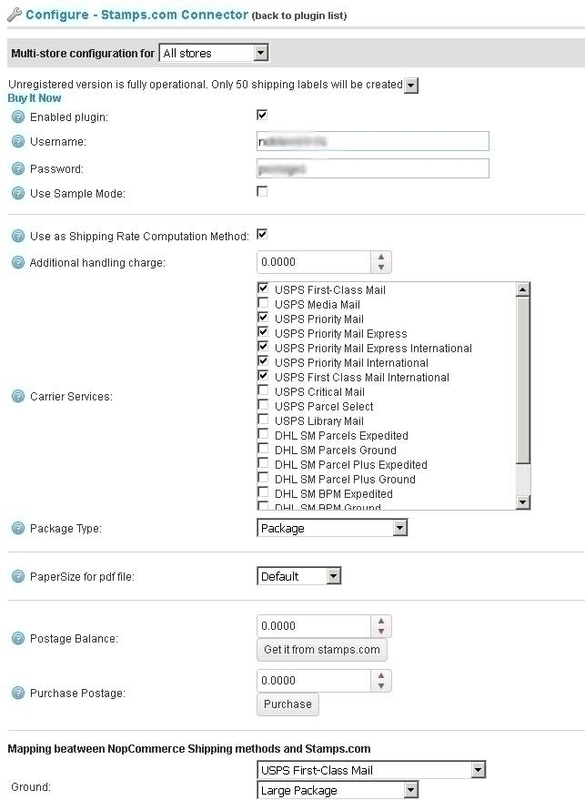 Than you should select type of package type and type of shipping label. You will see the new button "Generate Label". If you press this button plugin will send request to Stamps.com and you will get the shiping label as a file. Shipping status will be changed to Shipped. The shipping label will be saved on the disk. Customer will get e-mail with tracking number. 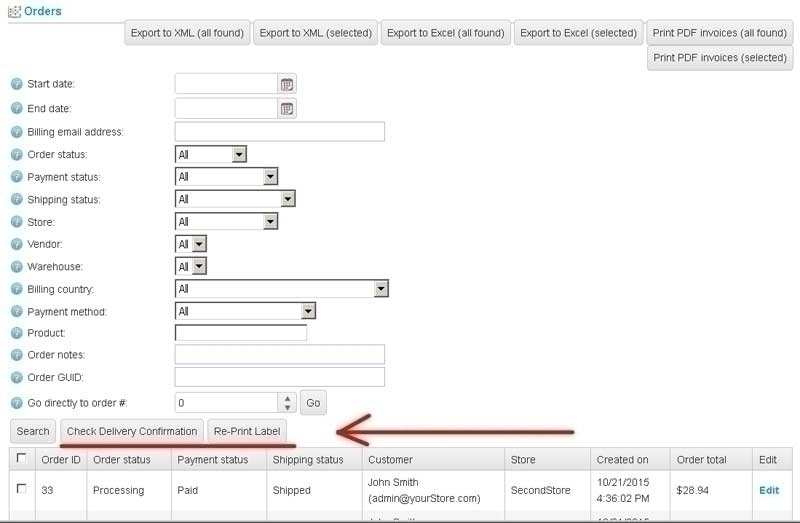 If you want to re-print label you should open shipment with tracking number and press the button "Re-print label". Plugin will read the file with shipping label from the disk and send to your browser. 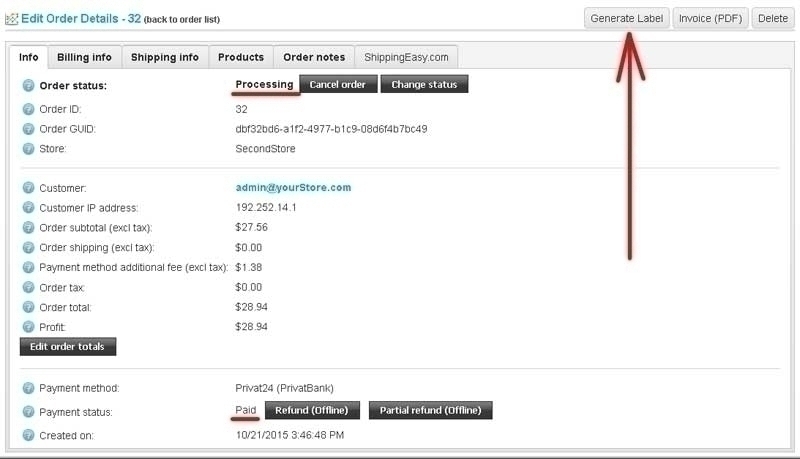 You can check delivery confirmation and re-print shipping label for selected orders. You should have Stamps.com account with auto-purchase value. If you generate shiping label you will not be able to generate new shipping labe for the same oder.